It cleanses your skin deeply and gently to leave it feeling pure and looking fairer, without drying out the skin. 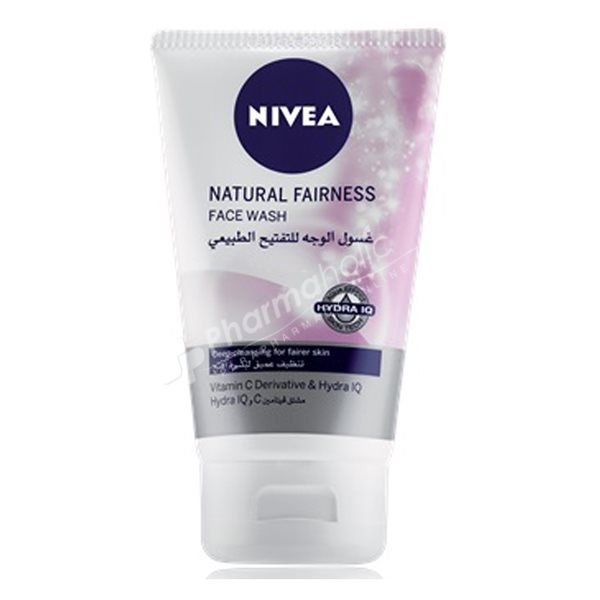 NIVEA Natural Fairness Face Wash makes your skin look healthy and fairer by cleansing it deeply without drying it out as other fairness products often do. The formula is enriched with the derivative of the anti-oxidant Vitamin C and Hydra IQ technology. Dark spots are also faded. For best results, use the full NIVEA Natural Fairness face care range. Does not clog pores. Skin compatibility dermatologically approved. Apply gently to moistened face, neck and décolleté by massaging in small upward circles while avoiding the eye area. Rinse off with lukewarm water.